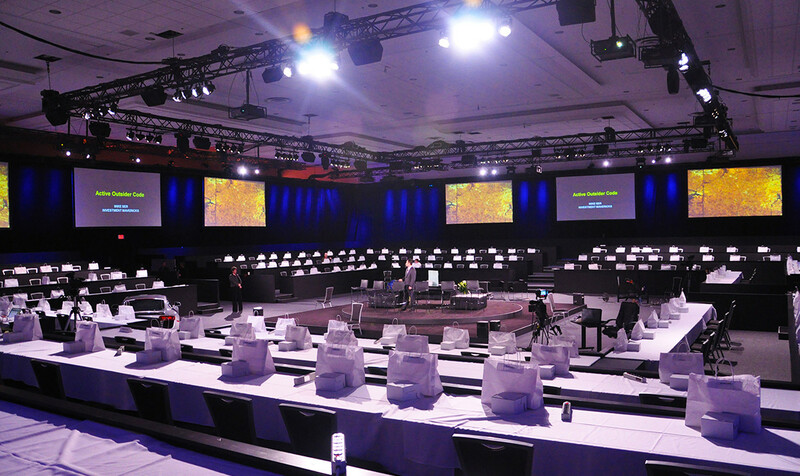 When Cantrav needed an audiovisual provider for the Hyundai corporate conference in Lake Louise they turned to AV Strategies. 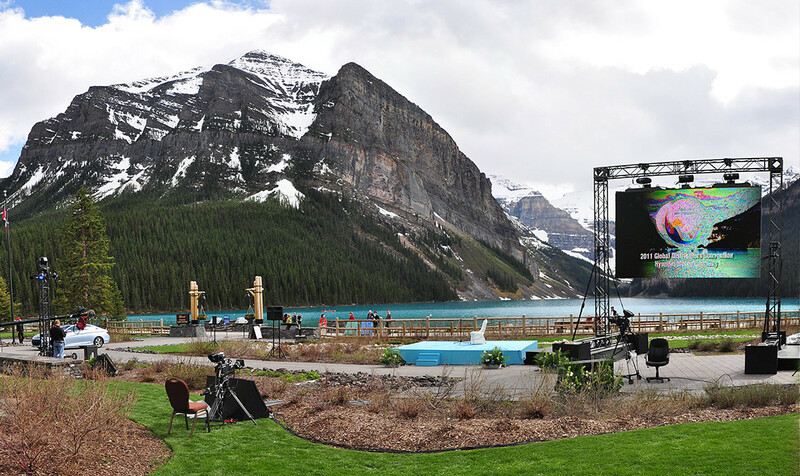 Our Calgary branch office is perfectly situated to provide audiovisual services to the resort communities of Banff, Kananaskis, and Lake Louise. 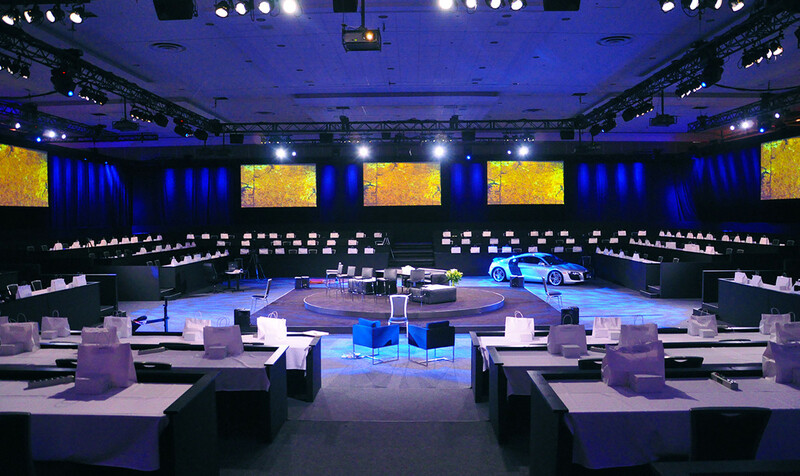 We spec’d and provided multi-screen projection switched through our Christie Digital Spider matrix switcher and large outdoor video wall in addition to lighting and audio.